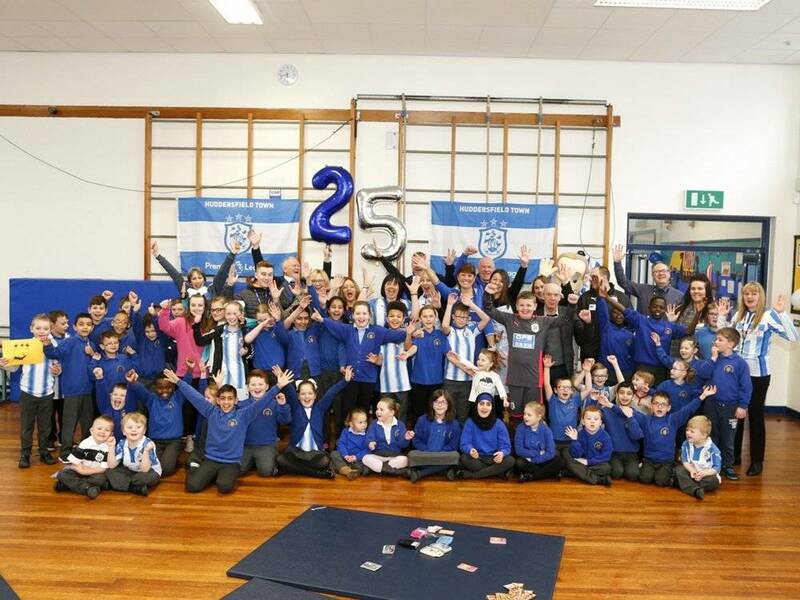 Huddersfield Town Foundation has opened its 25th ‘Early Kick-Off’ breakfast club at Cowlersley Primary School as the campaign continues to expand. Having recently entered its fifth year in existence, the Breakfast Clubs have provided almost 900,000 breakfasts to children in local schools, providing them with a perfect start to the day serving up a free and healthy breakfast. In attendance was Julie Sheffield and Tom Farrell from the Town Foundation, along with Danny Hoyle and trustees Caroline Lee and Stuart Bragan. Club Partners and Supporters of the Town Foundation were also in attendance supporting the event with Sue Howarth and Katie Cuerden from Total Food Services, Janine Sykes from Grand Central and Jeanette Cartwright from Kirklees Catering. The school celebrated both the opening of the breakfast club and the Town Foundation launching its 25 club with balloons and banners. “We are absolutely delighted to open our 25th ‘Early Kick-Off’ Breakfast Club at Cowlersley Primary School. “It’s great to see the Breakfast Clubs growing but also important to us that we can help children have the best possible start to the day. If you are interested in getting involved with the ‘Early Kick-Off’ breakfast club project or want to get involved with the Town Foundation, please email Julie on julie.sheffield@htafc.com or call 01484 503773.